A critical part of Basic Life Support training is understanding and properly adhering to the BLS algorithms. These present the basic course of action that a rescuer should perform for life support. We provide this information for free to our visitors and each page is a separate algorithm which is linked below. See our website terms. In the algorithm for adult basic life support, emphasis is placed upon immediate recognition of sudden cardiac arrest and rapid defibrillation with an AED (Automated External Defibrillator). For laypersons or other non-HCP personnel, this algorithm is a simplified approach to cardiopulmonary resuscitation and life support. In Pediatric Basic Life Support for Healthcare Providers (HCP), the rescuer should first determine quickly if the victim is unresponsive. The provider should note if the victim is not breathing or is only gasping. There science surrounding this pediatric algorithm are based on the fact that children are much more likely than adults to enter respiratory arrest. This illustrates the components of high quality cardiopulmonary resuscitation that should be learned by EVERYONE. CPR is a science and requires properly performing the actions as instructed. The rate of compression was updated for 2015 guidelines. We present the algorithms for ACLS on a separate page which includes general algorithms as recommended by the American Heart Association® as well as other specific algorithms published for anesthetists. 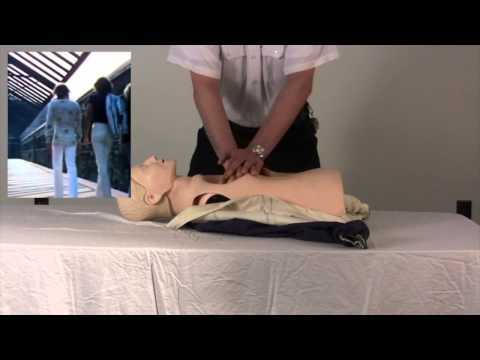 Demonstrates how to perform good chest compressions and tips to make it easy to remember. Performing bag valve ventilation with one or two rescuers. 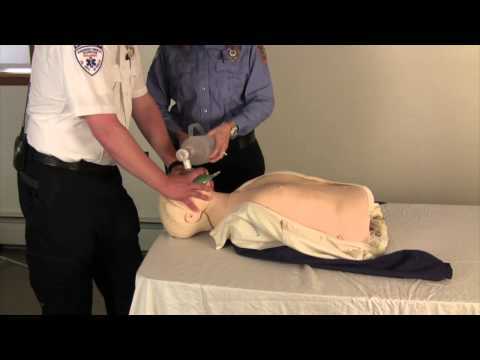 Our video page shows all our BLS videos and also includes advanced ACLS level videos. We welcome you to visit, all videos are free to the public. Sign up for a reminder when you need to renew your BLS, and get a discount while renewing. Sign up for a reminder when you need to renew your ACLS, and get a discount while renewing.